To catch a criminal nowadays involves a lot more than what movies and television shows would have us believe. Today’s crimes are much more complex, and given the volume at which they are happening, crime is becoming even more difficult to control. 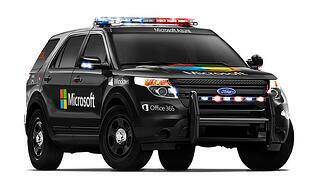 Microsoft took notice of the challenges law enforcement were facing and came up with a solution that will equip patrol officers with the technology needed to take action. This is where Dejero comes in. In partnership with cloud-enabled solution providers, Microsoft introduced the Intelligence-Led First Response platform (ILFR for short) that includes technologies such as Aeryon’s SkyRanger drone and our technology for streaming live video to authorized personnel with an Internet connection. Think of it as a mobile precinct for patrol officers that puts the right information at the right time at their fingertips. 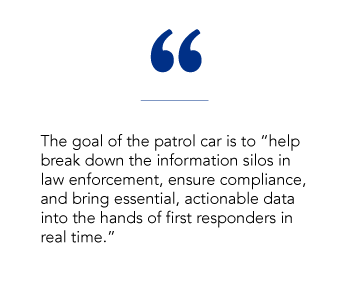 By building industry partner solutions into the ILFR platform, patrol officers not only have access to real-time data, they are also able to connect these disparate sources of information to make critical decisions. Through our collaboration with Microsoft, we’re not only making it easier for patrol officers to connect and communicate with each other – we’re also helping them create safer, more secure communities.